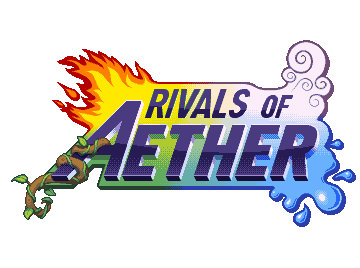 Rivals of Aether is a new Indie Fighting Game that is based heavily on Super Smash Bros play mechanics. What makes it different from other Smash Bros clones? It's an entirely original IP! Anyway, have a trailer. 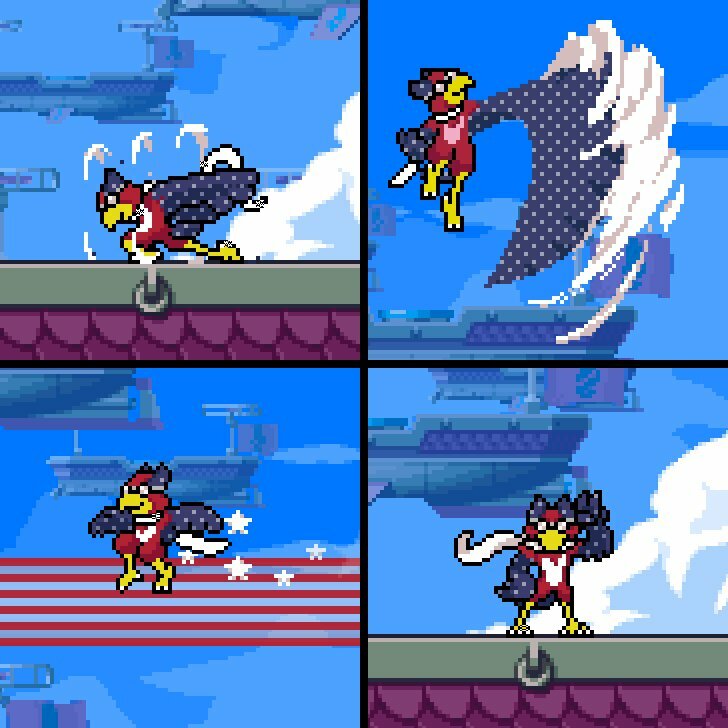 If you're familiar with Melee, you'll be happy to know that it plays a lot like that (wavedashing, how the air dodges work, etc), but it does its own thing too, especially in the character movesets. 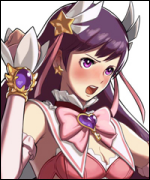 Most characters have a means to manipulate the battlefield itself, which greatly changes how the game is played. 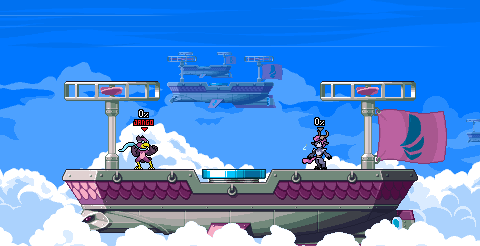 The stages (beautifully sprited btw) have interaction, but they tend to be less obtrusive than the ones in Smash. Additionally, every stage comes in both Aether (default with hazards) and Basic versions (think like Omega stages in Sm4sh except you're not limited to a single flat platform). Now let's meet the fighters! 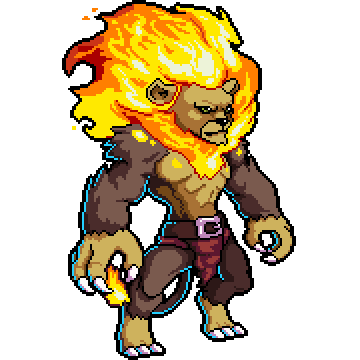 Zetterburn has the unique ability to burn opponents, causing them to continuously receive residual damage (think Lip's Stick from Smash Bros). He's pretty well-rounded, and his moveset reminds me of a combination of Bowser and Fox, if you can picture that. 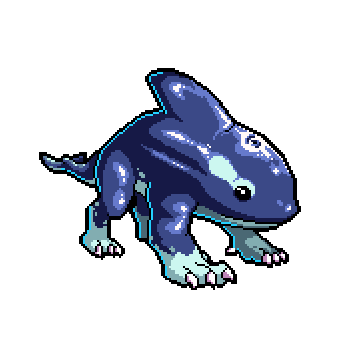 Orcane has some pretty interesting mechanics based on his Neutral B move, which generates a puddle. Up+B lets you teleport directly to the puddle (so for example you can juggle someone offstage then teleport back to safety when you're done), while Down+B turns it into bubbles for a defensive measure, and standing on top of it while doing a Strong Attack (this game's Smash Attacks) will improve his range. 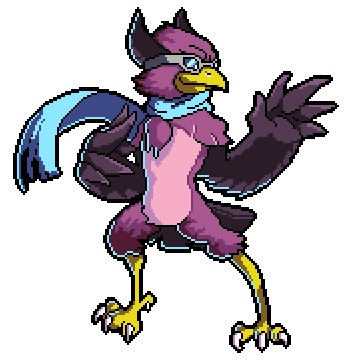 Wrastor is a bit unique as a character because his Strong Attacks are performed mid-jump rather than on the ground. 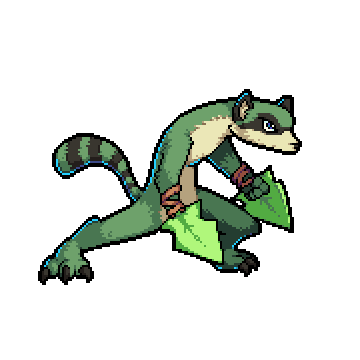 He's also the resident quadruple jump character, and his Side B generates a wind current that he can use to improve his speed. His moveset is kinda reminiscent of Metaknight and Captain Falcon combined. 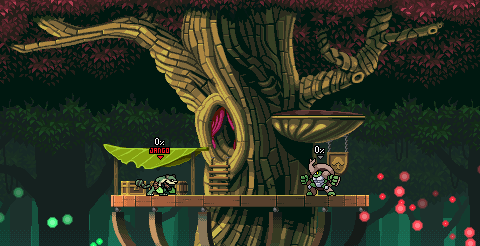 Kragg is probably my favorite character for one simple reason: his Up+B. It generates a pillar beneath him that acts as a platform that both players can stand on. 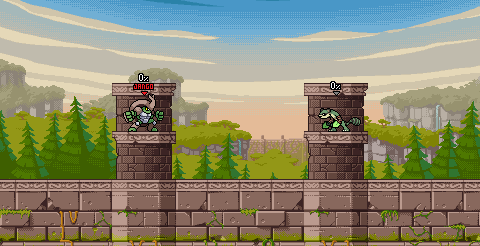 It can be destroyed in one hit from either player, but it does have quite a few uses (ie: creating a platform near the top of the stage to KO someone faster, creating an obstacle for an opponent trying to get back so they HAVE to attack it during their recovery). He also has a rock-throw and a Sonic-esque spin for some reason, but it's all about the pillar. Maypul seemingly has the worst Up+B in the game in that it pretty much does nothing. That is, unless you've used one of your other specials and "marked" your opponent with them. If your opponent is marked, your Up+B can be used to bring yourself right in front of him. So if you get launched and your opponent has a mark, reel yourself in! Absa is all about setting up clouds for stage control. 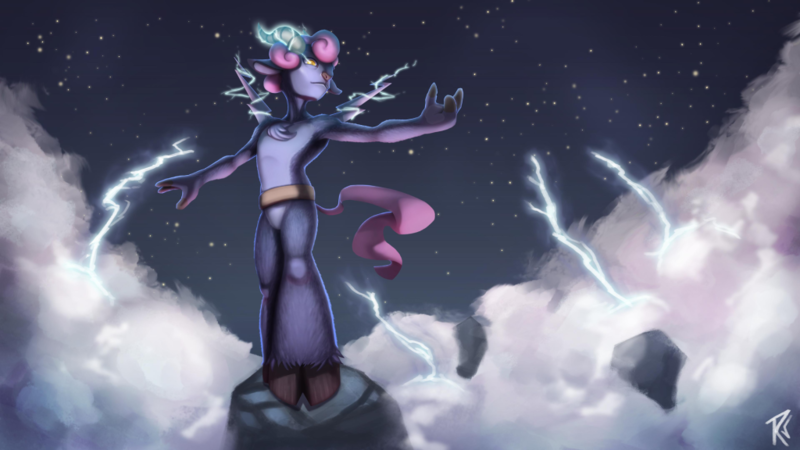 She can generate electricity from them as well, so part of the challenge is getting them to be either between Absa and he cloud, or just close to the cloud. She's also got some pretty interesting normals. Think Pikachu + Ness/Lucas with a little Mewtwo thrown in. Etalus is a big, heavy, ice-controlling bear. He is capable of freezing the ground, giving him the ability to slide across it. 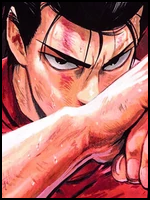 He can also use said ice to create super armor or to freeze other characters. 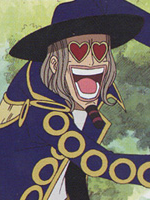 He's very similar to Donkey Kong, King Dedede, and SFIV's Hakan. Fire Capitol is a pretty safe stage. No hazards at all, staggered platforms and a wall. Basic version just gets rid of the wall so that the ground is flat. Air Armada looks pretty normal except the middle has a giant spring! 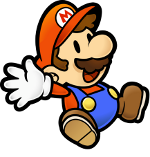 It activates by jumping whenever you're on top of it, giving you extra velocity in your jumps. Basic unfortunately gets rid of this but I guess it's understandable. The Rock Wall is pretty much as the description says. Has walk-off, but this stage's gimmick is that the platforms in the middle can be broken with attacks, making makeshift holes to knock your opponents into. Basic removes the walk-off and the platforms can't crumble. Merchant Port has a little ferris wheel of moving platforms in the middle. Additionally, the little machines on the side of the stages will blast water if attacked when the gauges are full. They don't do damage but the launch rate is pretty powerful! Basic keeps the platforms in the middle in one place and removes the machines. Treetop Lodge looks pretty normal but what are those glowing lights??? Green lights do nothing, but if you launch an opponent off the side of the stage with red lights and they're low enough, a carnivorous plant will devour them and K.O. them in one hit. Basic removes the plant. Blazing Hideout is pretty darn awesome to fight on. 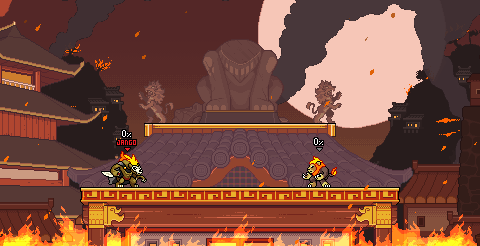 There's fire below the stage that will occasionally rise up and do damage ala Planet Zebes in the first Smash Bros. Basic gets rid of the fire. 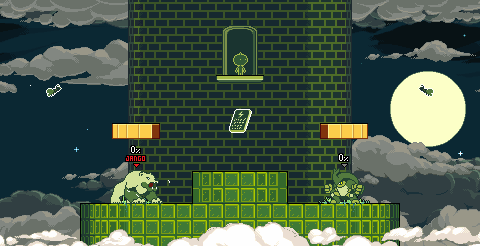 Tower of Heaven is a guest stage from an indie platforming game of the same name which flashygoodness previously worked on (it also had an appearance in Dan Fornace's previous Smash fan game, Super Smash Land). 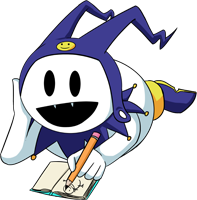 Every now and then a notepad will show up, and if a player collects it, they temporarily enact a law that the other players must follow for a temporary amount of time (ie: "Thou shalt not parry or dodge"). It's a little like Midgar in Sm4sh. The game is currently available on Steam Early-Access for $15, so anything outside of fighting on or offline is pretty barebones (as are some of the menus/music), and they are trying to bug-hunt at this stage. That being said, it's looking to be an awesome game so far, and you should totally try it out if you get a chance! Last Edit: March 16, 2016, 05:06:50 am by J.A.N.G.O. Wow now that does look very nice, pretty, exciting! Probably gonna grab that Early Access! That.. um.. that looks really cool.. I.. generally do not play games on PC.. but.. I think if I'm going to start.. this.. This game might be that start..
Delving within the depths of a castle full of evil.. or at least lost or even trapped within one.. That's where you'll find me. I just noticed (even in the trailer) that the music is made by flashygoodness (of Tower of Heaven fame). Yay. Anyway, game looks interesting for a 2D version of Smash. Might try it out if I get the chance. But as it stands, does it have lobby or random battles? Isn't this game being made by the guy who made Super Smash Land? Anyways, I've been checking out news for the game every so often; it looks pretty awesome. They look gorgeous. That alone would make a great selling point. Been following this one for a while. Cool to see it getting some attention, might have to grab it off Early Access sometime soon. Was playing online for the last hour or so. Holy crap, the netcode is really good. Seriously, in the time I was playing, I could count maybe two instances where the game slowed down for a split second, but other than that, it's almost like playing offline. There are some times at character select when the opponent won't ready himself and I have to disconnect to look for someone else, but I'd like to think it's on their end. 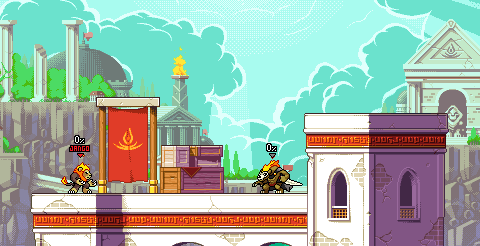 So I noticed a lot of people use Zetterburn online, with a few people using Kragg, and one person using Forsburn who instantly suicided upon seeing me. While there are some noobs, a lot of the playerbase is REALLY GOOD. Only thing is I wish they had some system in place for handling ragequitters, although I guess I'm spoiled on SSB4's "replace opponent with Lv. 1 AI." I've only had one person ragequit on me so far, but yeah. So apparently this happened around the time I started this thread but I didn't find out until now. 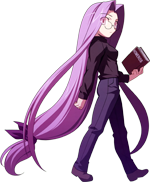 It is confirmed that this character is an upcoming fighter. 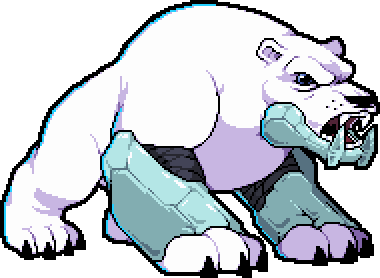 According to game files, his name is Etalus and he's a bear that controls ice. 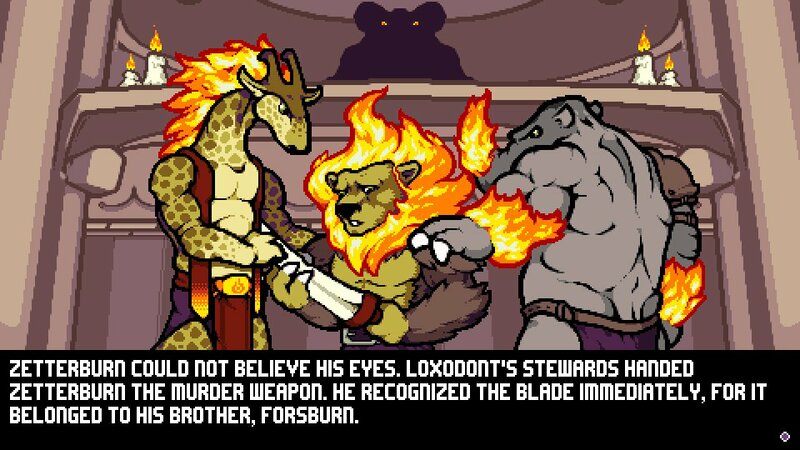 Previously, Dan Fornace did confirm that a character named "Etalus" was in this game and that he was going to be a "heavy" character, but it's nice to see what he looks like. Holy hell those back drops are sweet. The way the characters are sprited brings me back to Digimon Battle Spirit, and I like that. Hope to see more stuff regarding this game soon. 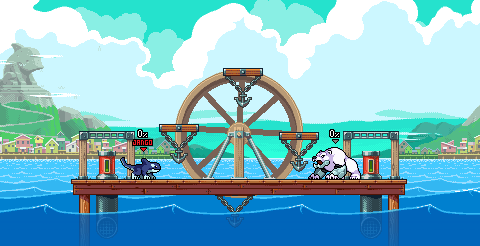 The changelog in its entirety is here, but more importantly every now has Halloween palettes, and Orcane's in particular makes him partially invincible, so now I have another reason to main him. Game updated to Version 0.0.8. What changed?! 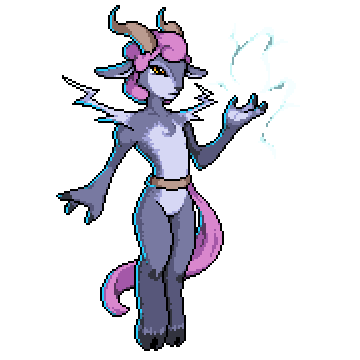 Absa is now playable in Early Access! Her gameplay is focused around setting up cloud traps and getting around quickly with her electricity. She seems to have influences from Pikachu, Ness, and... Mewtwo? I dunno. Also, Developer mode was added in for Early Access players to mess around with game mechanics. I guess this means it'll be easier to make balance patches and hacks for this game! And of course, balance changes up the wazoo. 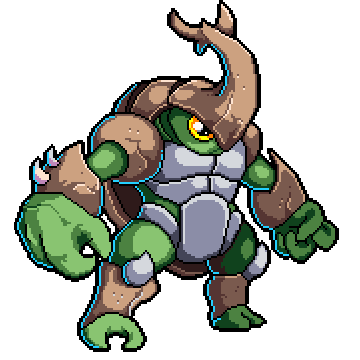 Lotta nerfs to Kragg and Zetterburn, but THANK GOD they buffed Orcane. Of course, there's some bad news. 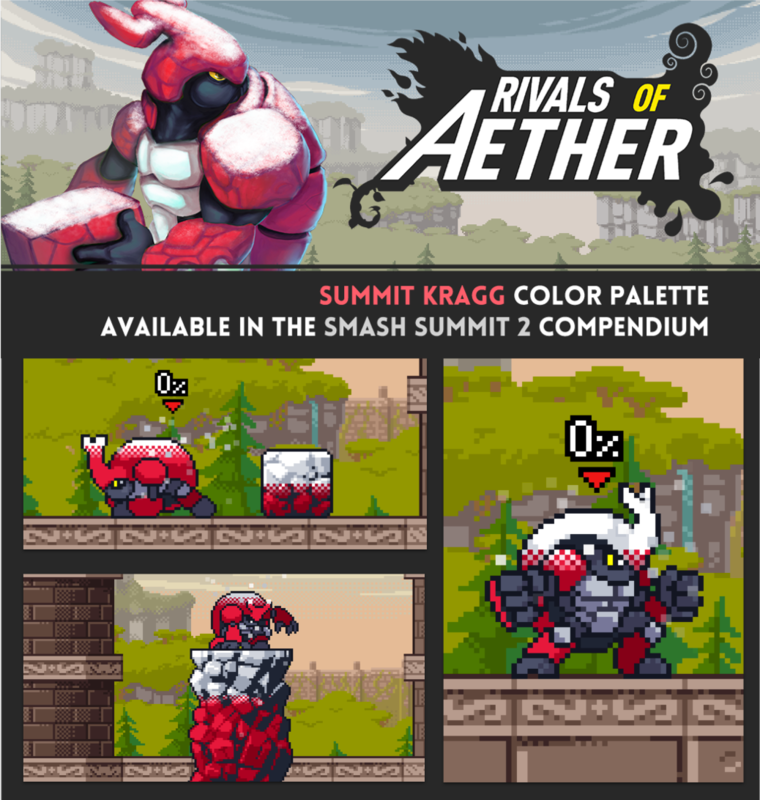 The developers added Christmas palettes for the characters. The sucky part is that they replace the Halloween palettes. 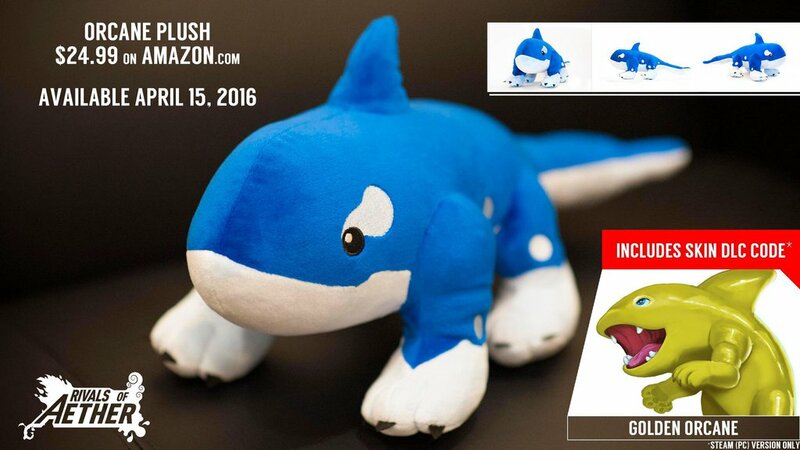 RIP Ghost Orcane. Also, Developer mode was added in for Early Access players to mess around with game mechanics. I guess this means it'll be easier to make balance patches and hacks for this game! 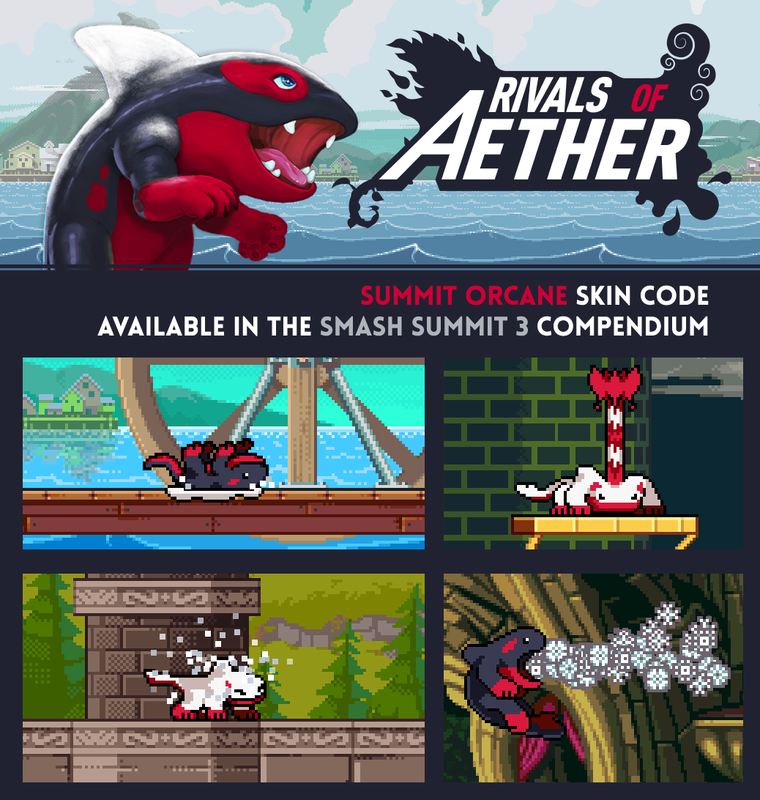 Rivals of Aether Project M edition. 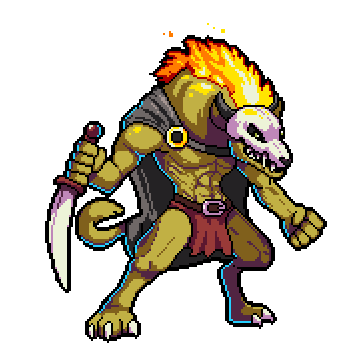 Rivals of Aether Project B. 'Nuff said. 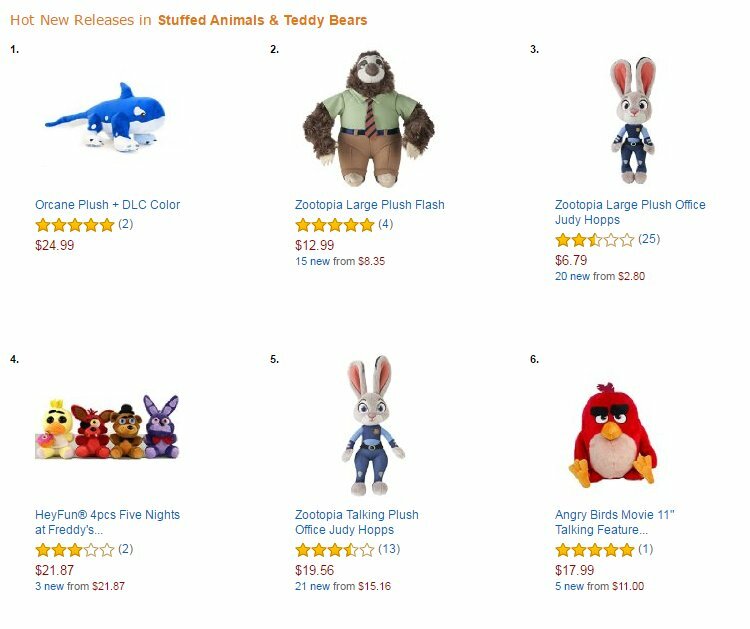 Oh... Furries. Well, if its based on Smash, its probably good.